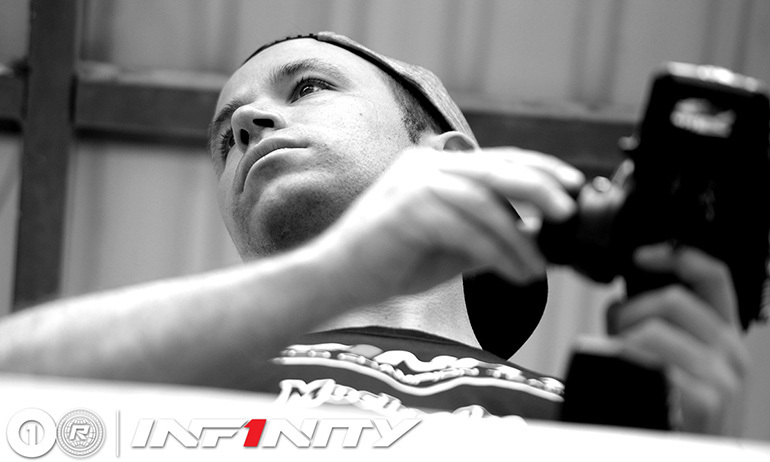 Nicholas Lee has taken the TQ spot here at PYC having taken the 3rd and final round of qualifying by over 2 seconds. 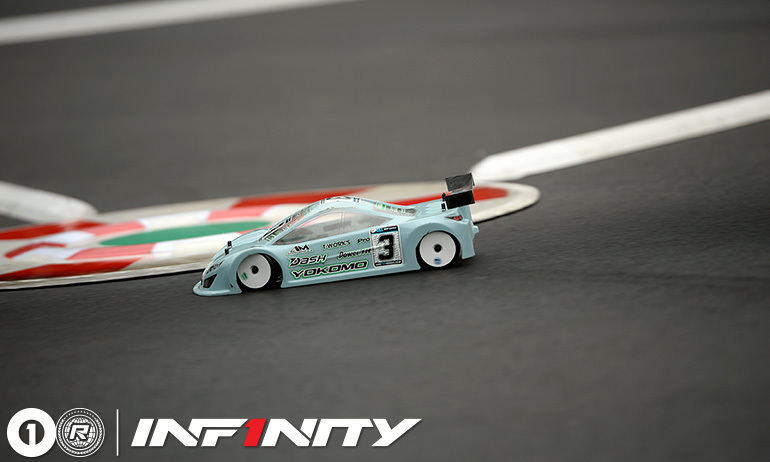 The result was a repeat of Q2 as the Yokomo driver again headed Sobue and Rheinard, giving the Singaporean his first pole position of the season and the first by anyone other than Akio. Jin Sawada, Meen Vejrak and Gary Huang all finished in the same place as they had in the Q2 and that would be how they start this afternoons 4-minute triple A-mains. ‘Finally Akio didn’t win every round’ was what a happy Nicholas Lee said when asked about his run. 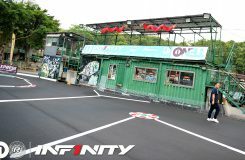 Running on new tires, he described the decision as last minute as Akio had also changed last minute and with the two of them in the hunt for the TQ, the Singaporean followed suit. Describing his BD9 as really good, he said ‘in the beginning it was close but by the end it was really good’. 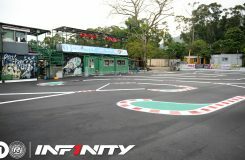 Sobue for the first time will start a OneTen series final not from pole position, the Infinity driver describing his new set of tires as ‘slower than before’. Making a late decision and gamble to change tires just before the last heat it didn’t pay off as he was headed early on by Lee and unable to answer the Singaporean’s pace. Saying his car wanted to spin out when on power he also admitted that track conditions have changed and is generally slower than this morning. Looking to the final he said he will try the tire one more time. 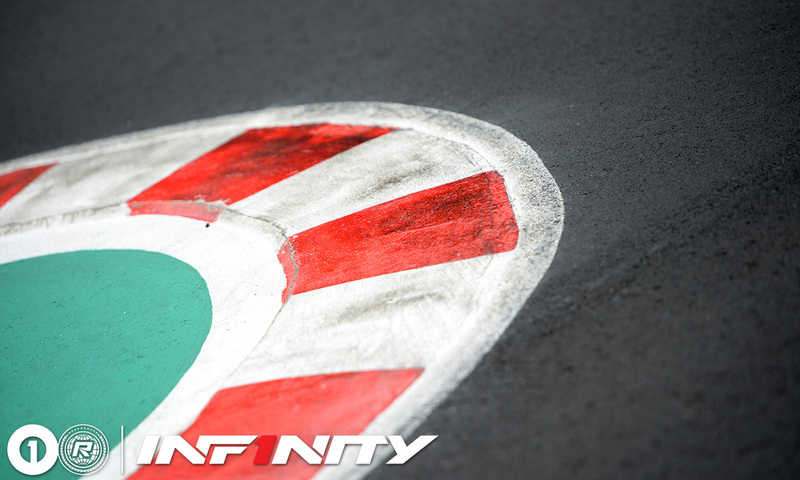 Marc Rheinard will begin his first OneTen final from 3rd, the Infinity driver once again unable to break into the top 2, despite having the 2nd fastest lap of that round. ‘No chance against the guys with new tires’ continuing ‘but I knew I had no chance, it was all about protecting my 3rd on the grid’. 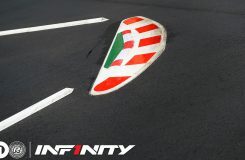 Having only run one of his allocated 3 sets in qualifying, he is the only front runner with 2 sets still left, the German concluding ‘I hope the guys up front have a good battle and I can just go by’. 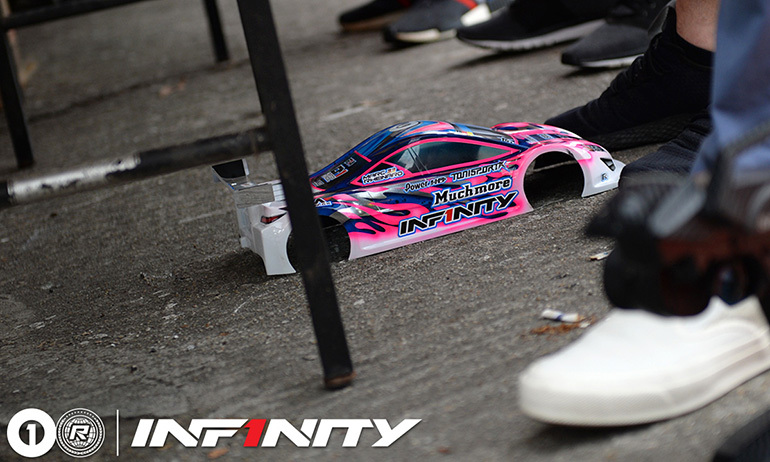 Fourth and fifth once again went to Jin Sawada and Meen Vejrak, with Gary Huang and an improved Kenrick Fong completing the top 7, enough for the local Yokomo driver to pop himself onto the A-main grid in 9th. 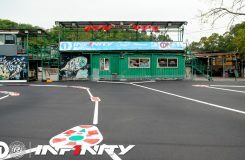 In the Stock class, with Jan Ratheisky already sealing the TQ after Q2 and keeping his perfect qualifying record intact, it was Yan Cheung who would take Q3 by 1 second in front of the German driver to set up an interesting final as the pair have been separated by no more than a second all day. 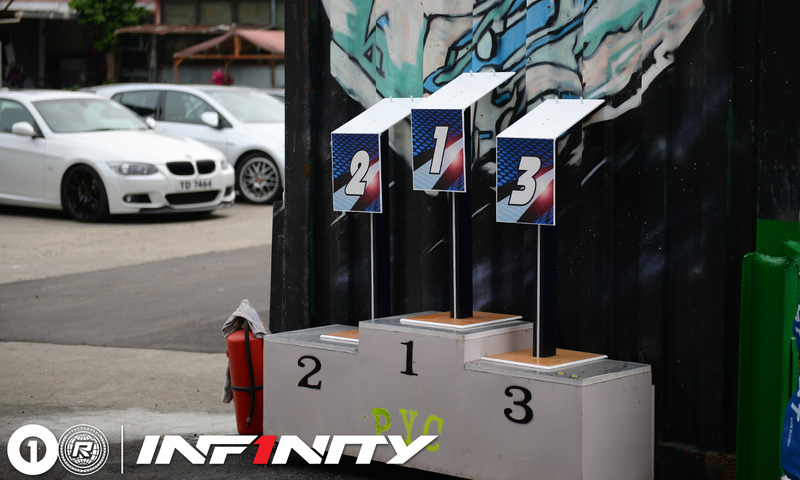 While Samson Chau would claim 3rd in Q3, he will start from 4th on the grid behind Derek Yuen in 3rd with Angus Leung again completing the top 5. 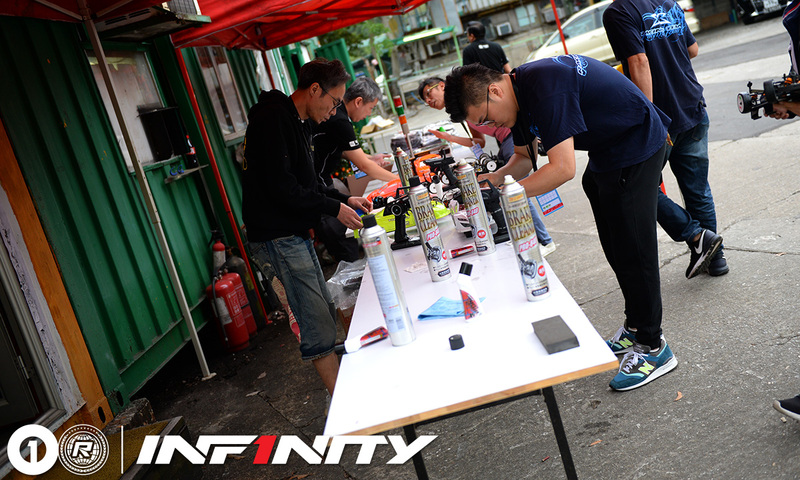 Nicholas Lee has taken the 2nd round of qualifying at PYC, the Yokomo driver taking it by just .005 of a second in front of Q1 pace setter Akio Sobue. 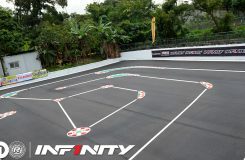 Behind Sobue, his Infinity team mates Marc Rheinard and Jin Sawada were next up, the former being the last driver to get a 27 lap in the round. Behind, Vejrak finally found some pace and would take 5th only less that a second behind Jin, with Gary Huang, Charlee P and Kenrick Fong completing the top 7 for the round. Speaking to Lee following the run he said he simply ‘drove better’, and also pointed out that his car doesn’t fade as much as the others in his heat, a fact shown by his ability to close on those ahead of him at the end of both heats so far. 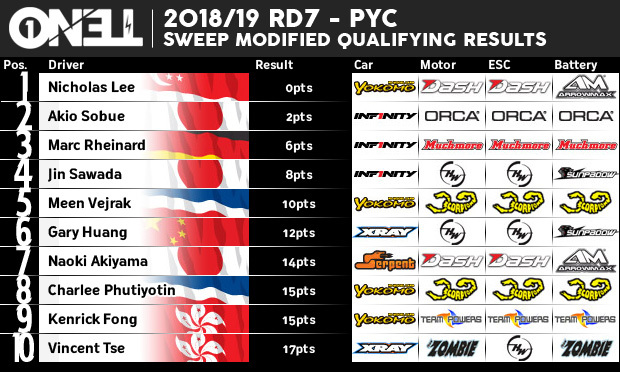 For the 3rd and final qualifier the Singaporean doesn’t plan any changes to his BD9 and with 2 good runs in the books, is now free to push for the TQ. Quick to point out that he had ‘one time mistake’, Akio Sobue had a bobble near the end of the run while leading as he came up on Gary Huang who had clipped a curb. 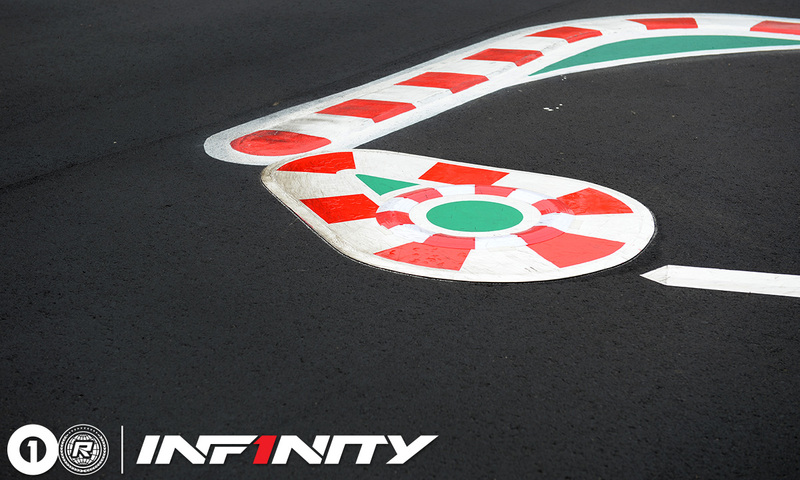 A mistake by the closely following Japanese driver saw him slide off line while his body momentarily tucked. Picking up dirt on his tires it saw him have less traction for the next 2 laps which was enough to allow Nico get to the front. Marc Rheinard was again 3rd saying his IF14 was a little better this run, having made changes to the front to stop overheating the front tires. 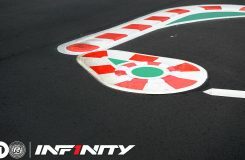 Planning to change his rear roll centres for Q3, the German also lost around a second at the end of the run believing he was already finished and slowed on what was his final lap. 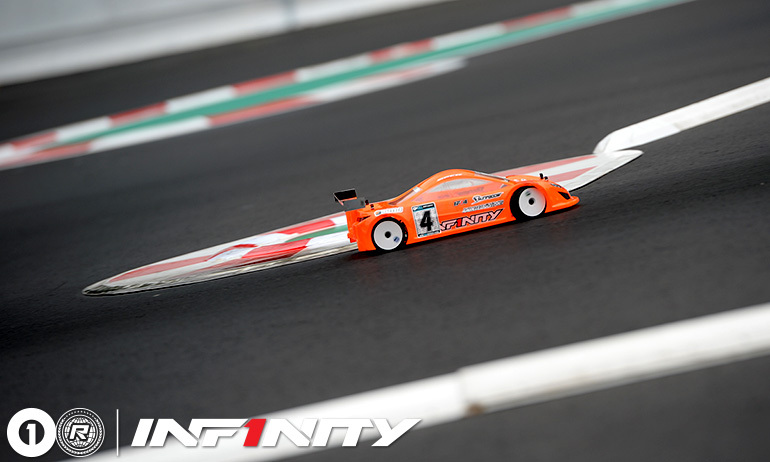 Jin Sawada would be 4th once again, however the gap to the top 3 and in particular the leader being much closer this time around, some 3 seconds compared to 8 seconds in Q1. 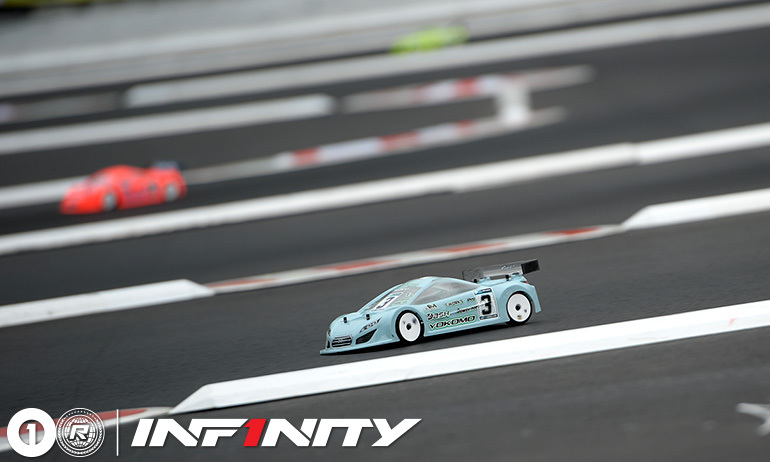 Meen Vejrak improved to take 5th for the run, the Yokomo/Scorpion driver finishing in front of Xray driver Gary Huang in 6th. The stock class remained Jan Ratheisky’s as the German once again took the round, by just over a second in front of local racer Yan Cheung. 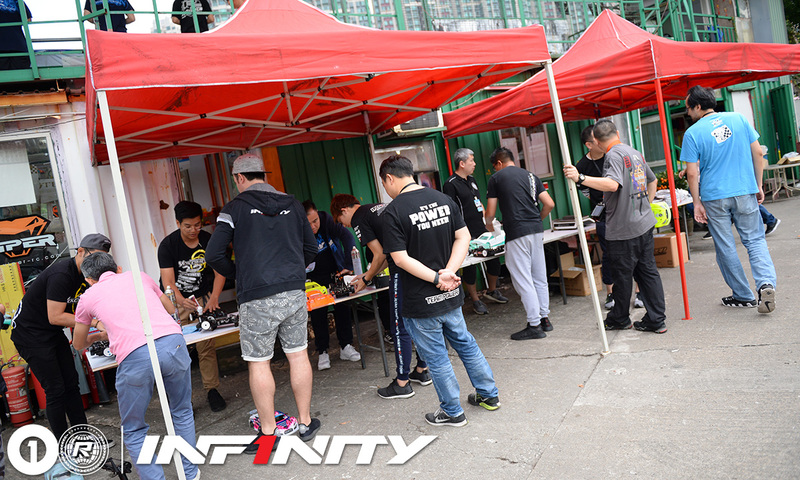 All the way down to 8th place remained in the same order as in the opening qualifier with Derek Yuen, Samson Chau and Angus Leung rounding out the top 5 once again. Nicholas Lee would end the run in 2nd place describing it as a ‘safe run’, the Yokomo driver wants to bank a good run due to the threat of rain. Feeling that if he had driven harder he could have been closer to Sobue at the end of the 6 minutes but the ‘top 3 was very close at the end’. 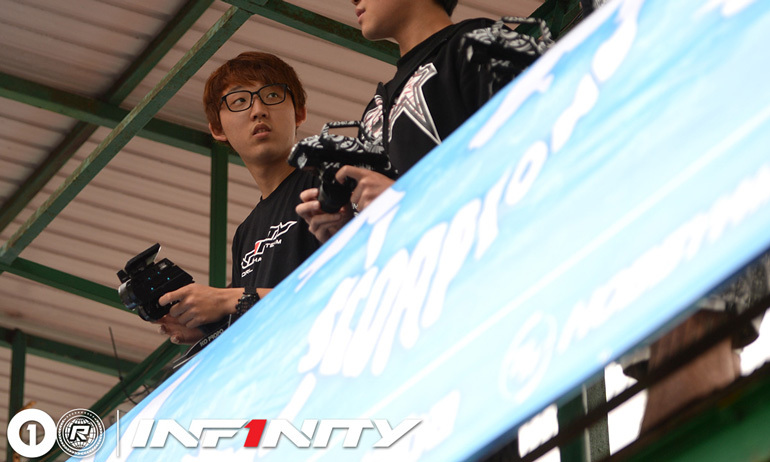 Asked if he planned any changes for the 2nd qualifier the Singapore driver said he would leave the car as is. 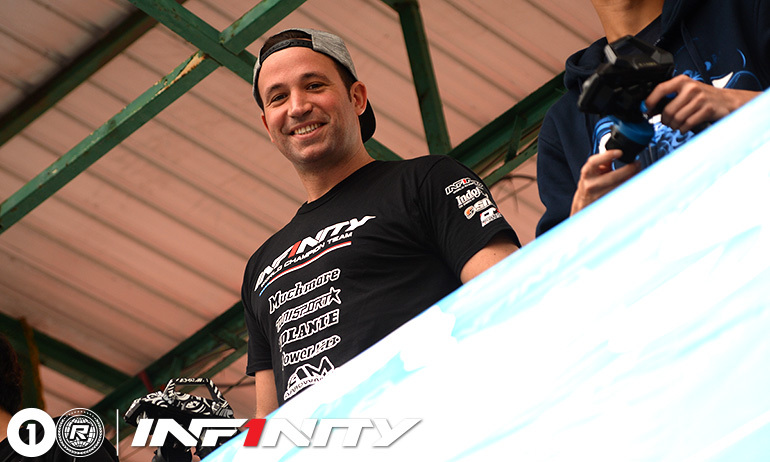 Taking 3rd, having lead at the start Marc Rheinard said his run started really good but began to push near the end and so he said he needs to find a way to stop overheating the front tires. 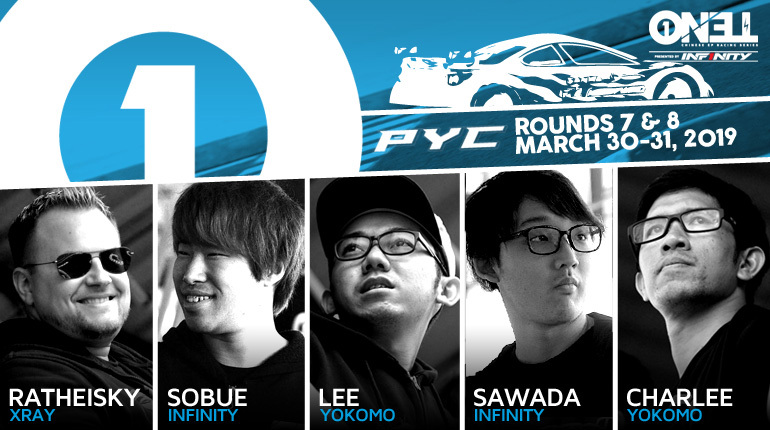 Planning to move more towards the setup of his team mate Sobue, he will make the car wider on the front for the 2nd qualifier, drivers getting 3 rounds today with 2 to count. Jin Sawada would finish in 4th place also saying that at the beginning the car was ok but after some minutes started to get slow. Just like Marc, he too will try to run a wider front for Q2 in a hope to have the car push less later in the run. 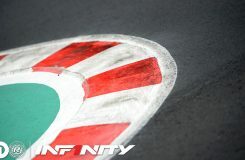 Completing the top 5, another series debutant Naoki Akiyama took his Serpent to 5th, the Japanese driver having Felix Law as mechanic this weekend. Meen Vejrak, Vincent Tse and Charlee Phutiyotin completed the top 8. 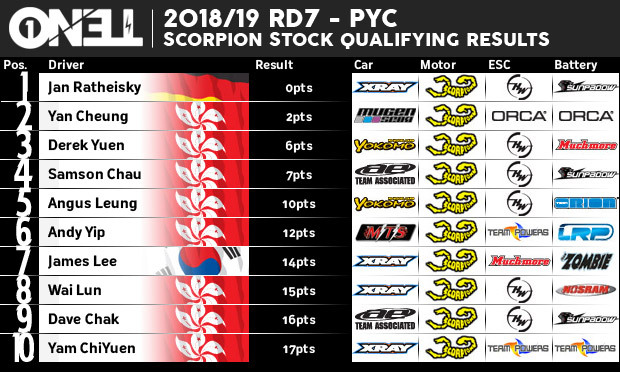 Jan Ratheisky has taken the opening round of qualifying in the Scorpion stock class, the German travelling the furthest to be here having last weekend competed in the Canadian Nationals and spending only 24 hours at home before flying on to Hong Kong. 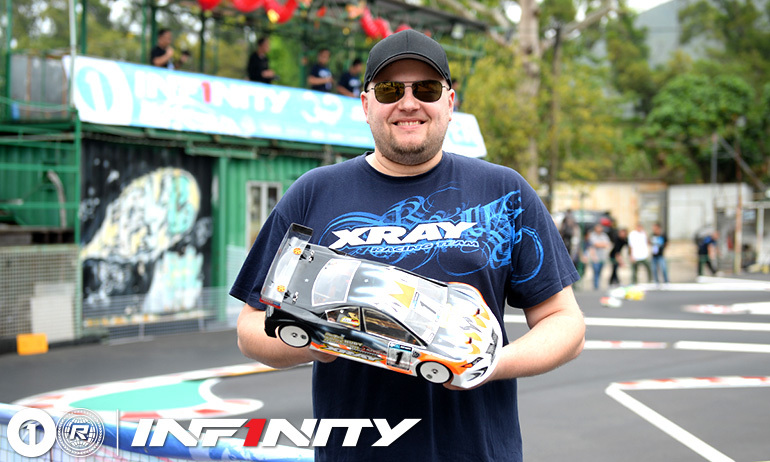 The Xray driver was quickest by just over 1 second, having rolled his car on the opening lap having not previously tested with new tires and being caught out by the extra traction. 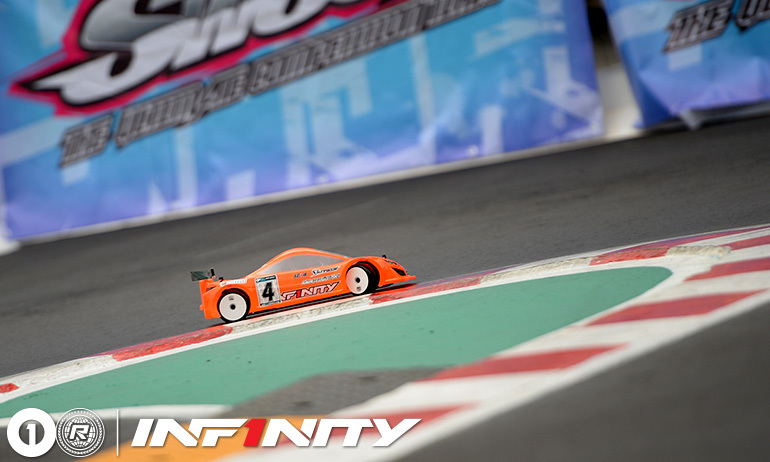 The newly crowned series champion was very happy with the track, saying the super smooth surface has helped him with his transition from last weekend’s carpet racing to asphalt this weekend. Just behind, his season long closest rival Yan Cheung from Hong Kong took 2nd, the Mugen driver in turn just under 4 seconds ahead of another local driver Derek Yuen. 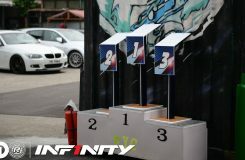 Samson Chau and Angus Leung completed the top 5 for the round. 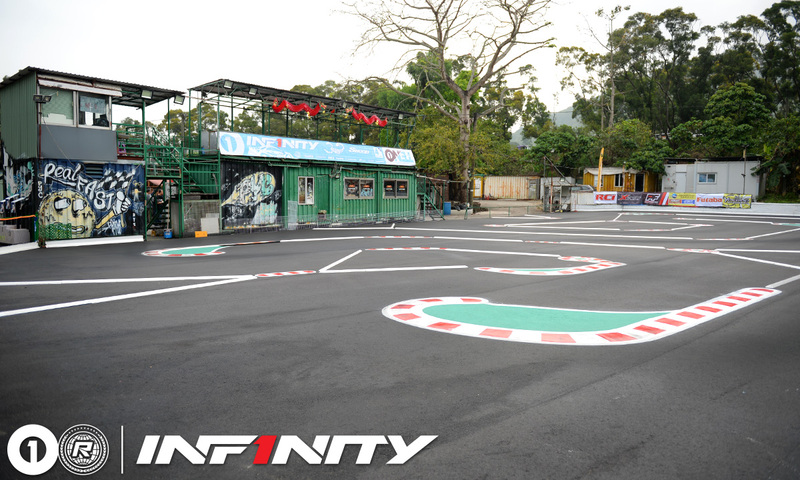 Located, like all of Hong Kong’s outdoor tracks in the New Territories close to the border with China, PYC is the oldest surviving track in the country, having been opened nearly 20 years ago. 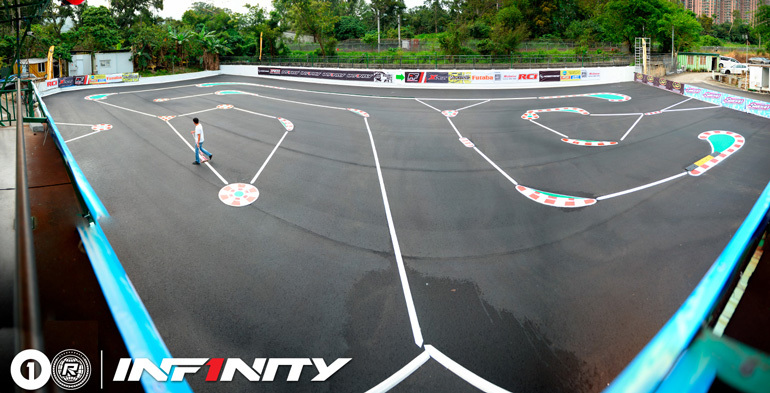 Just earlier this month the track received all new asphalt ahead of the OneTen series season finale and looks really good, with the drivers all complimenting the new surface. 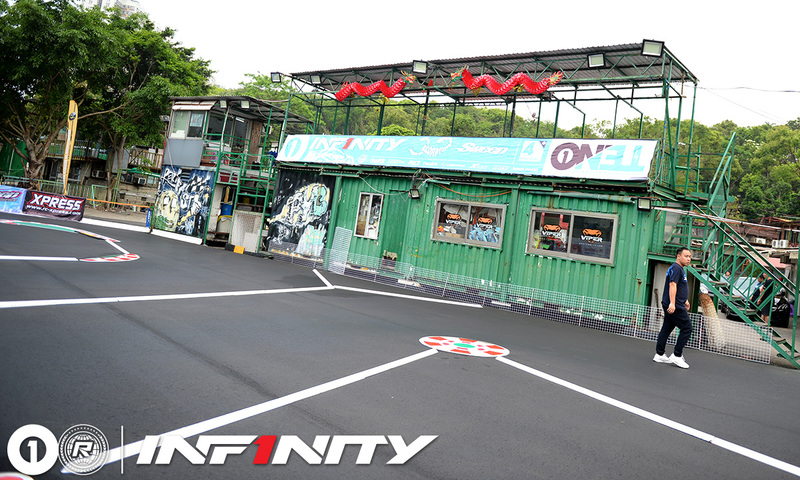 Like most tracks in Hong Kong, the facility is scattered with pit rooms for the local drivers as well as a small hobby shop and the usual amenities needed to run a successful RC track. 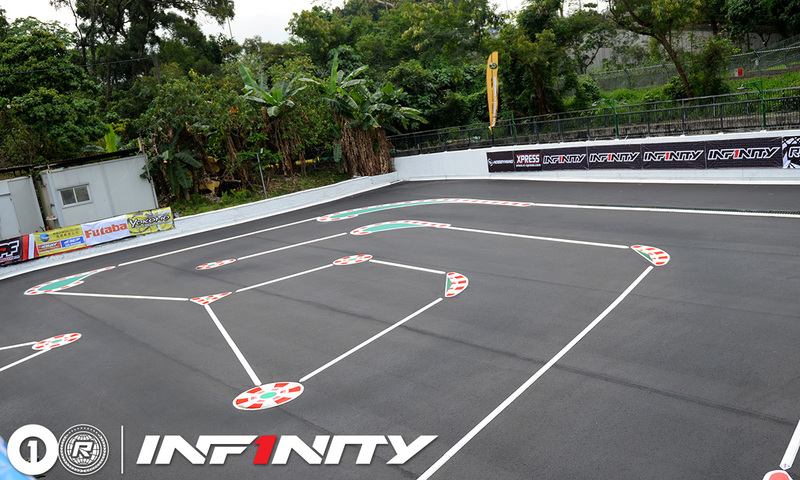 First time racing in Hong Kong Infinity driver Marc Rheinard likes the track very much, saying ‘it’s a good size of track for EP Racing with a good layout’, continuing ‘it’s super flat with no bumps’. 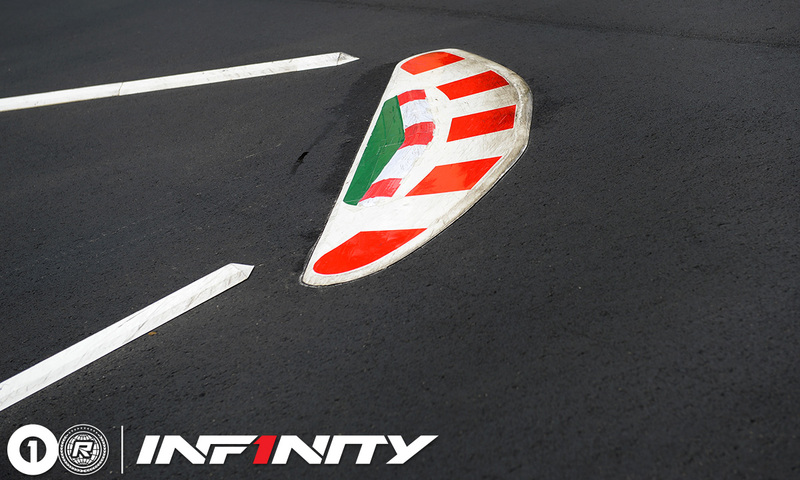 Asked about passing opportunities, the 3 time TC World Champion replied ‘at the end of the straight you can maybe pass’ referring to the double apex entry on the back straight which features a tight right hander at the end, the entire track sloping from its highest point on the left side. 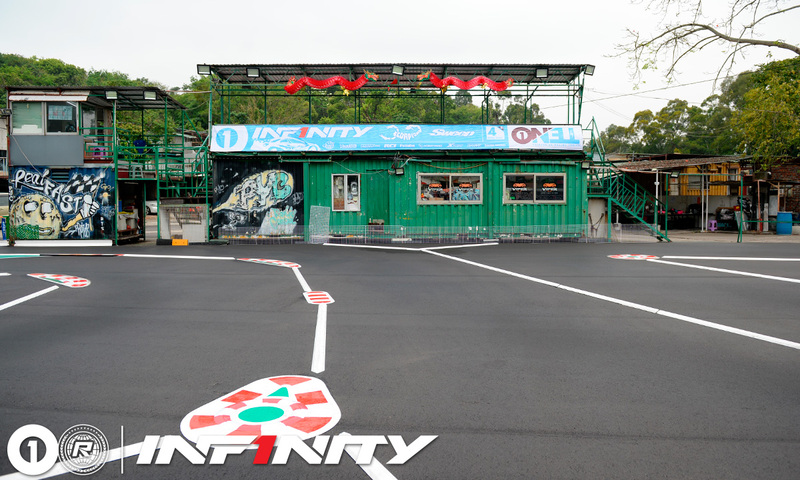 For rounds 7 & 8 of the OneTen Series presented by Infinity, we are pleased to confirm more international drivers for the event to be held on the newly resurfaced PYC track on March 30th to 31st. Having already confirmed Marc Rheinard and Meen Vejrak we can also confirm our season regulars, including both of our newly crowned season champions. 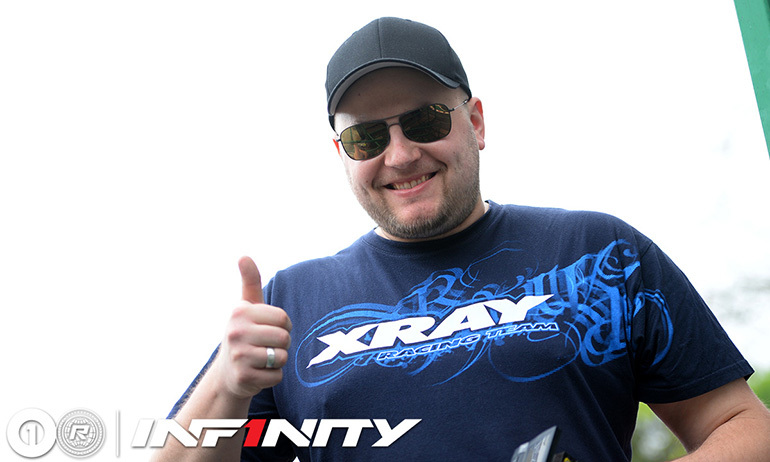 Akio Sobue for Infinity and Jan Ratheisky for Xray will both be aiming to complete this inaugural season with a perfect score in both the Modified and Stock classes respectively having TQ’d and won all rounds to date. 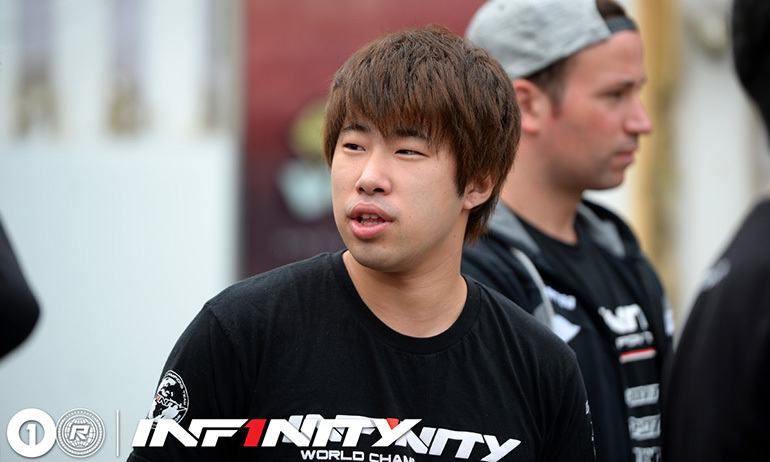 Akio will be once again joined by his Infinity team mate Jin Sawada, who along with the addition of Rheinard makes for a very strong showing from the Japanese brand. 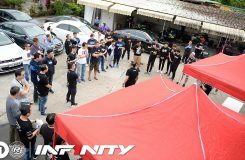 Another Japanese brand, this time Yokomo, will also see their strongest team to date with Nicholas Lee joined by not only Meen Vejrak but also his super quick Thai team mate Charlee Phutiyotin. 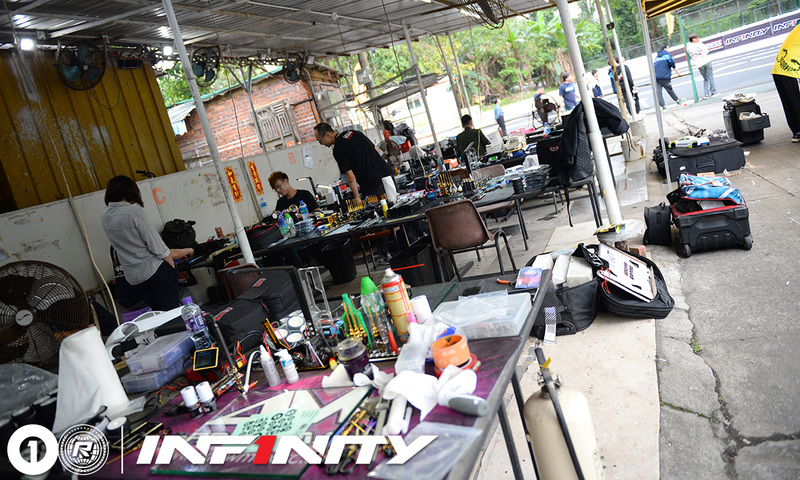 Rathiesky will once again head the Xray challenge, joined as always by Chinese National Champion Gary Huang. 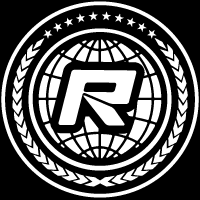 More information about this round(s) of the series can be found here, while entry for rounds 7 & 8, which like all rounds is limited to 100 entries, is open here.